When a live webcast goes well, you completely forget about the team of 20 people it takes to put it together. Since all the highlights (appropriately) feature the athletes, I thought it might be nice to put together some clips where the other talent really shined. Here is some of the great production moments from the Shimano Slopestyle at the 2012 Colorado Freeride Festival. Thanks to the crew that made this event a succes. How many viewers can watch an HD webcast production? 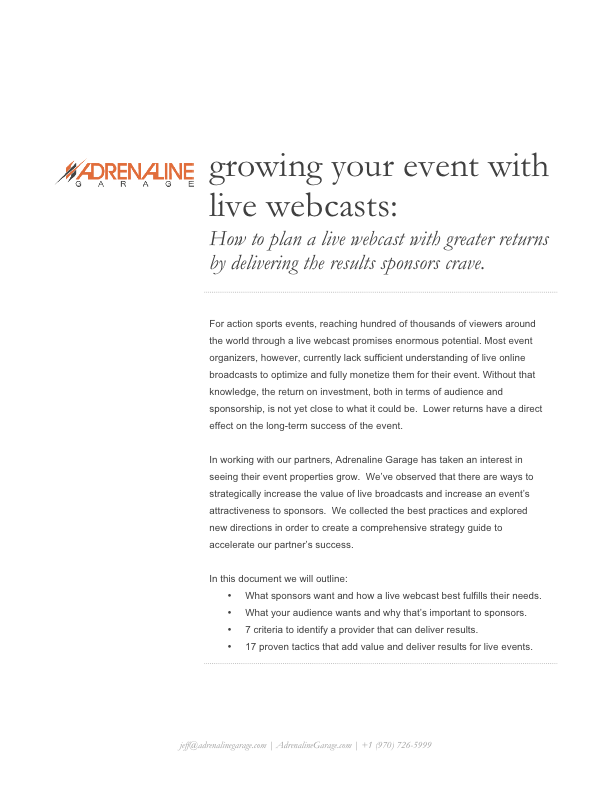 There has been an enormous boom in high definition webcasts, especially amongst the largest action sports events. The Maloof Money Cup, US Open of Surfing, The Ride Shakedown, US Snowboarding Grand Prix and a number of action sports events have each chosen to do HD webcasts over the past year. Just as the phrase "16mm Production" used to be an indicator of a top notch action sports videos, "Live HD Webcast" has become the shorthand that's synonymous with the best live online productions. As "webcast" can mean many things, appending "HD" to the description of an live stream has allowed events to differentiate themselves from the incredible number of mediocre one camera productions on Ustream. Before someone jumps on the HD Webcast bandwagon, I think it's appropriate to ask, how many people are actually able to see an HD webcast at it's highest quality? Is HD worth it if only a few people can actually see it? At what threshold does it make sense? An internet connection with sufficient bandwidth to stream full resolution (720 x 1280) HD video. 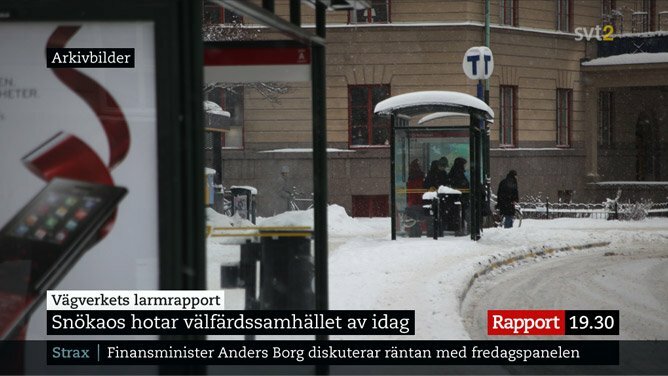 A computer screen with enough resolution to display the full image and not scale it down. Without either one of these, the event and viewer would be better off with a lower resolution image. In the first case, buffering will make it impossible for the viewer to watch the HD video. In the second case, there wouldn't be any noticeable difference between an HD video and one with lower resolution. 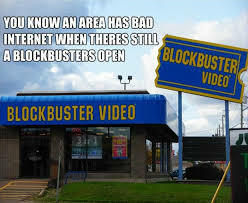 Thus, it's just a waste of streaming bandwidth. About 50% of US connections are capable of handling a 720p stream. 25-35% of connections outside the US are 720p ready. 40% of US viewers were fully 720p HD webcast ready, meaning they had sufficient connection speed and were watching on a monitor able to take advantage of HD resolution. 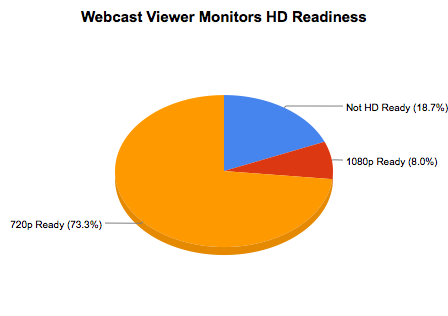 Internationally, less than 20% of viewers are fully HD webcast ready. Looking at the data, if you only have one stream available, HD is not a good option. However, since user bandwidth is the major limiting factor, using adaptive bit rate streaming creates a number of possibilities. Adaptive Streaming works by "detecting a user's bandwidth and CPU capacity in real time and adjusting the quality of a video stream accordingly. It requires the use of an encoder which can encode a single source video at multiple bit rates. The player client switches between streaming the different encodings depending on available resources. The result: very little buffering, fast start time and a good experience for both high-end and low-end connections." The main advantage here is that you don't have to completely compromise quality for compatibility. Adaptive bit rate streaming allows you to encode HD streams for high end connections and other streams for connections with less capacity. 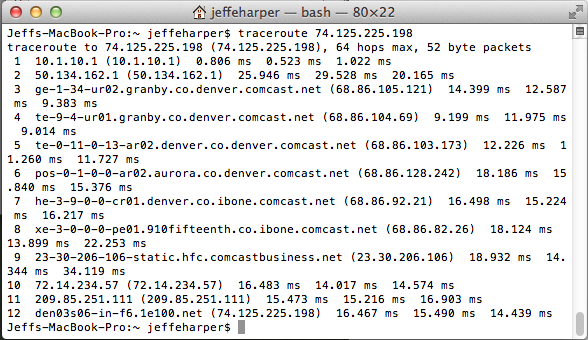 Ideally, more streams of varying bit rates would be better. However, the number of streams is limited by the capacity of your encoder and the upload bandwidth available. Not having one or both means poor stream quality for your viewers. You'll want to select resolutions that provide the best user experience for the largest number of viewers within the resources you have available. 1080p encoding is definitely not worth it. The number of people who have 1080 ready monitors and connections is too small to justify the expense. 720p might be worth it. To sufficiently accommodate users, you'll need either a very powerful encoder or multiple encoders as well a sufficient upload bandwidth. In this case we would suggest encoding two HD streams and several sub-SD streams. For events without those assets, based on the real world capabilities of viewers, sub-true HD is a very good middle ground that ensures most people will be able to take advantage of a high quality webcast. What other considerations in webcast production would you like to know about? Sometimes it seems like electronics manufacturers want us to be confused. Buying a TV, or choosing a video production system for a webcast for that matter, means deth a relentless onslaught of bizarre technical terms and numbers, all of which you'd never need to know in every day life and will never think about again. I think the worst part, however, starts just after you begin to understand what it all means. Suddenly, you become part of a debate over what's better, which one is "True" and who's just out to get your cash. It's enough to wish for the days of radio. Oh wait, there was that whole AM/FM thing. Here's the bad news. Webcasting is no different and HD webcasts are especially confusing. We think it's time to define the HD webcast. Rather than enter the debate about what is a "True HD Webcast," which is a stupid esoteric argument that doesn't do anything to help you, we're going explain some different options and the trade-offs associated with each. What makes HD different is resolution. TV formats are defined by vertical resolution. Vertical resolution is the number of pixels along the vertical axis of a video image. The standard vertical resolutions for TV broadcast are 480, 720 and 1080, with the latter two considered HD. In online media, there is no standard frame size. It can be anything and is not even constrained to 4:3 or 16:9 aspect ratio. If you wanted to stream your event as a square or vertical video, super small or thousands of vertical lines, it's possible, it's just not recommended. Because webcasters don't have to deal with the same standards as TV productions, a number of (confusing) options have been created. Decreasing resolution is an easy way to lower a streaming video's bit rate. Thus, webcasts have historically been encoded in sub-SD resolutions (180, 240 or 360 vertical lines have been common). 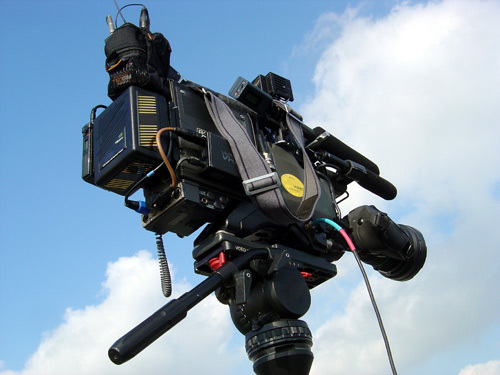 An HD webcast is any webcast whose final resolution requires HD equipment to produce without having to resort to up-ressing. 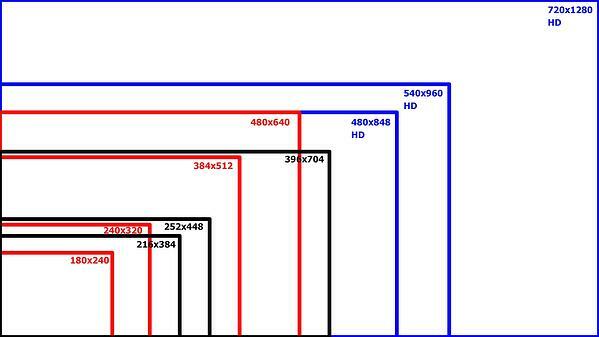 Common HD encoding resolutions include 720x1280, 540x960 and 480x848. All of these formats are greater than SD resolution (480x640), thus to produce them without having to "create" pixels requires HD equipment. If you have the capability, why not just produce "True" HD? In our experience, the better the user experience, the more time your viewers watch. The longer your viewers watch, the more value your webcast has to your sponsors. In our mind, that's the main reason for producing an HD webcast, even though there are certainly many others. However, as you increase the resolution, and therefore bit rate, fewer viewers will be able to see your webcast. If you encode a stream with too much resolution, you could just be paying significantly more for a worse user experience for the majority of your audience. Simply put, worse user experience = less value. Your HD strategy directly affects the value of your webcast. The solution is to use adaptive bit rate streaming. Adaptive bit rate streaming detects "a user's bandwidth and CPU capacity in real time and adjusting the quality of a video stream accordingly. It requires the use of an encoder which can encode a single source video at multiple bit rates. The player client switches between streaming the different encodings depending on available resources. The result: very little buffering, fast start time and a good experience for both high-end and low-end connections." The number of streams you can encode. Ideally, to offer the best possible experience to the largest segment of your audience, you would encode enough streams so that every viewer could connect to the best possible stream at all times. In a full res HD situation, we suggest encoding at least 4 streams: an HD stream, a "super SD" and/or SD stream, a good traditional webcast stream and a low res mobile device appropriate stream. The power of your encoder. 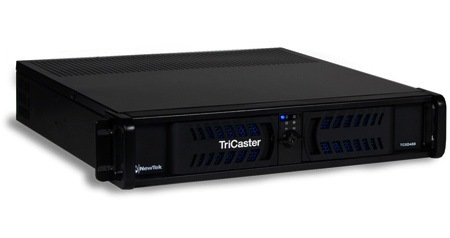 Only the best dedicated encoders are powerful enough to encode full resolution HD video, let alone a number of streams. Your upload capacity. In addition to the additional bandwidth consumed by the HD video, the additional streams will also take up more bandwidth. Your streaming budget. The bit rate of HD video is more almost three times traditional webcasts. Increasing the bit rate means increasing your bandwidth expenses by the same factor. While full resolution HD may not be right for you, thankfully, unlike broadcast TV, there are a number of options. Based on what assets you have at hand, you can select an option that optimizes the experience and offer a stream that's better than what's possible on standard definition TV. Whatever your situation, we believe, as an HD webcast provider, that you should choose resolutions not because of an esoteric argument about what is "True HD", but what maximizes the user experience for the largest segment of your audience. The added benefit is that you won't waste money on excessive bandwidth and you'll get the most value from your webcast.